My favorite fruit. What I wish I would have done differently? the composition. 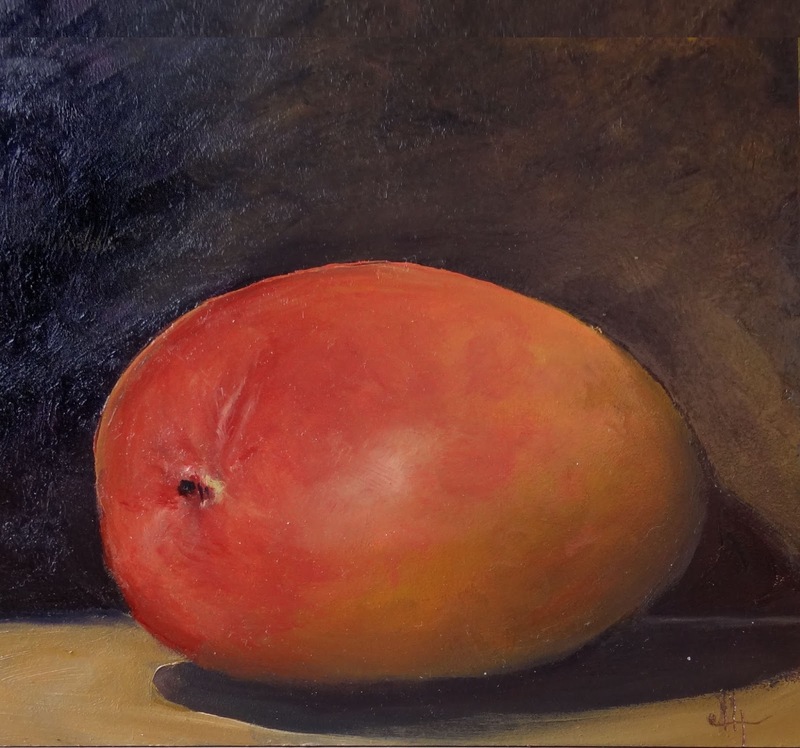 The shadow looks off because the mango is too close to the front of the painting. I think I just wanted it close to me.